This thread gives the current catering options (2013 onwards) for the Galleries Club lounge at LGW. 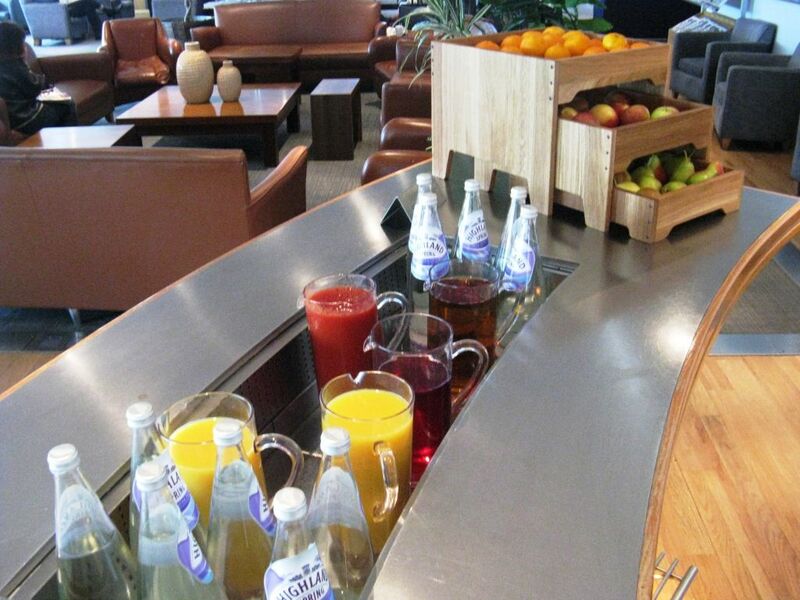 This lounge is open to oneworld Emerald and Sapphire members, and passengers travelling in First, Club World, Club Europe and Business UK. oneworld Emerald members and passengers travelling in First may choose to use the separate Galleries First lounge next door to this lounge. 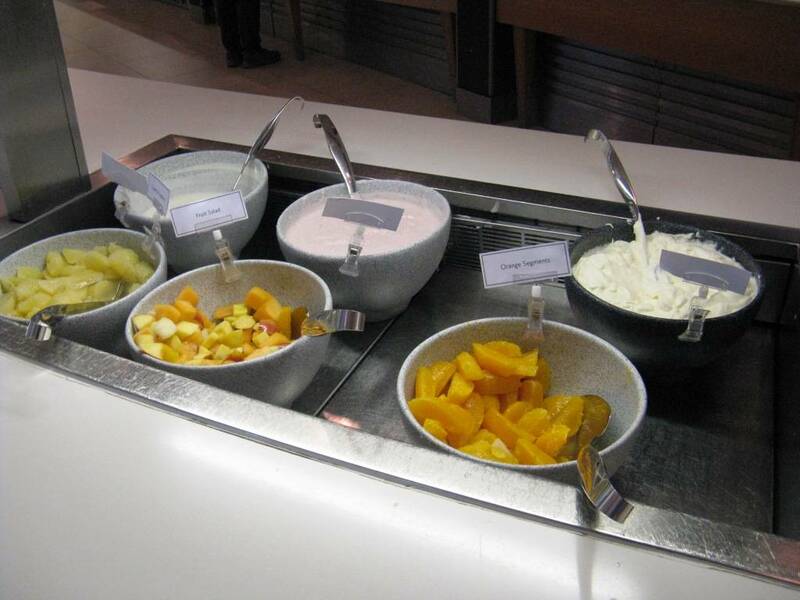 The current catering options and photos of the LGW Galleries Club lounge offering can be found in the first post in the thread, or you can click here. 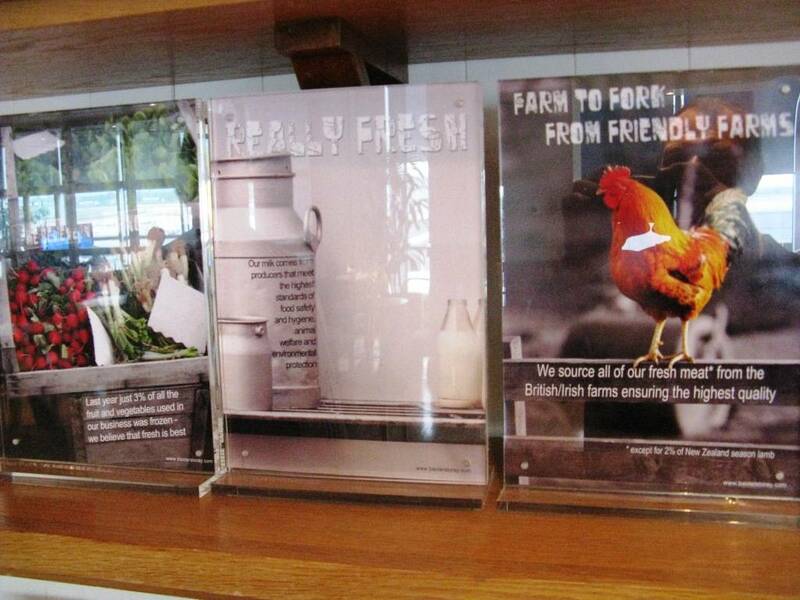 The catering supplier was changed on 25 April 2013 to BaxterStorey. 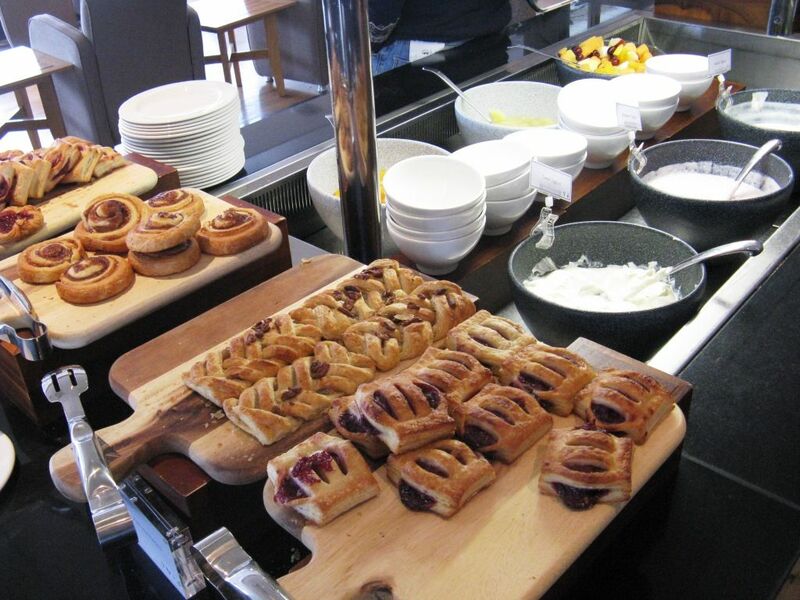 From 25 April 2013 the food options in the Galleries Club lounge at London Gatwick North Terminal have changed, after BaxterStorey was appointed to run the food and beverage operations. This lounge is available to Club Europe, Club World, BA Silver and oneworld Sapphire members travelling oneworld, with the LGW Flounge available next door for First / Gold / Emerald passengers. [Note: A particular thank you to the staff in the lounge here, who were exceptionally helpful to me and indeed the other passengers. Some of them have worked in the LGW lounge complex for many years and have seen many changes. 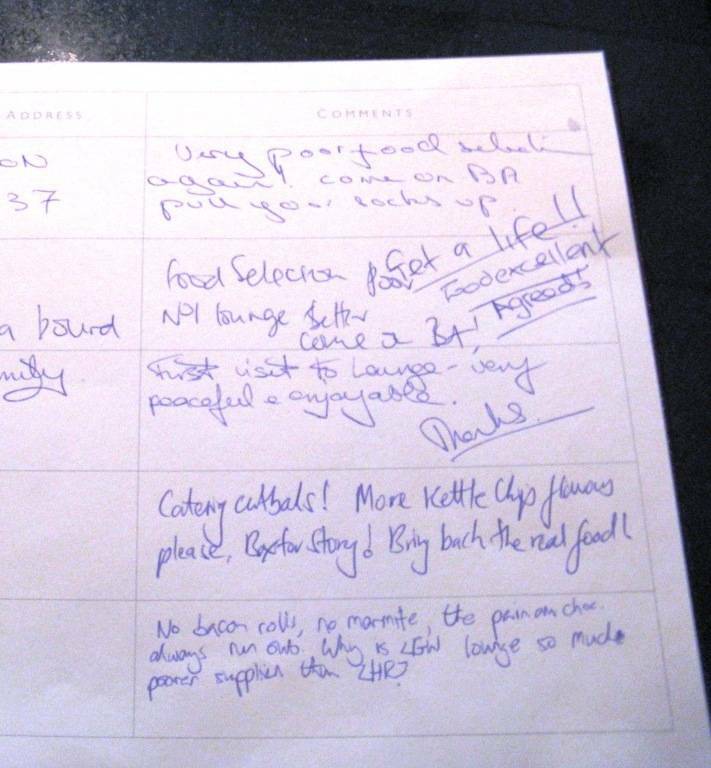 It is noteable that the guestbook in LGW is much less vitriolic than those in LHR, despite the weaker food offerings]. Available from 5:15 to 12 noon. Croissants; pain au chocolat; cinnamon pain aux raisins; pecan, raspberry and strawberry trellis Danish pastries; custard tart. 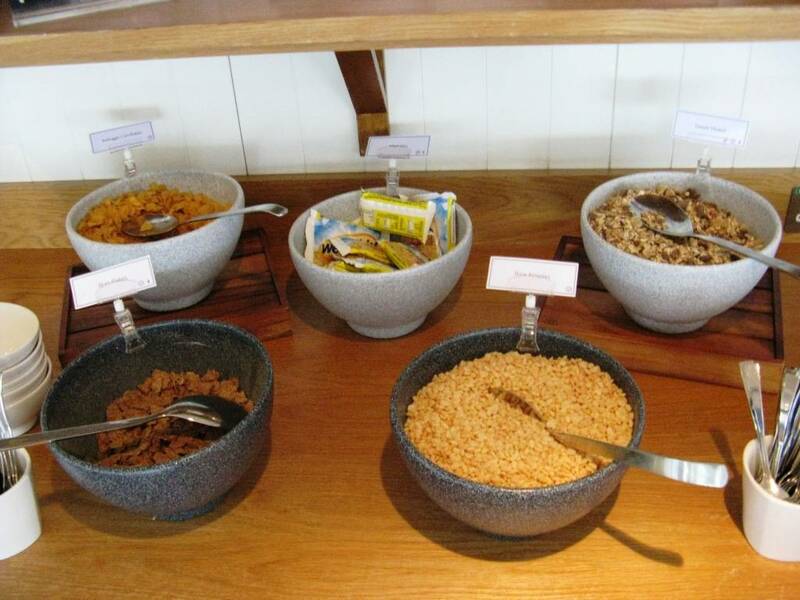 Selection of cereals: sweet muesli, bran flakes, Rice Krispies, Kellogg's cornflakes, Weetabix. Traditional porridge with accompaniments (sugar, cinnamon sugar, honey, jam). 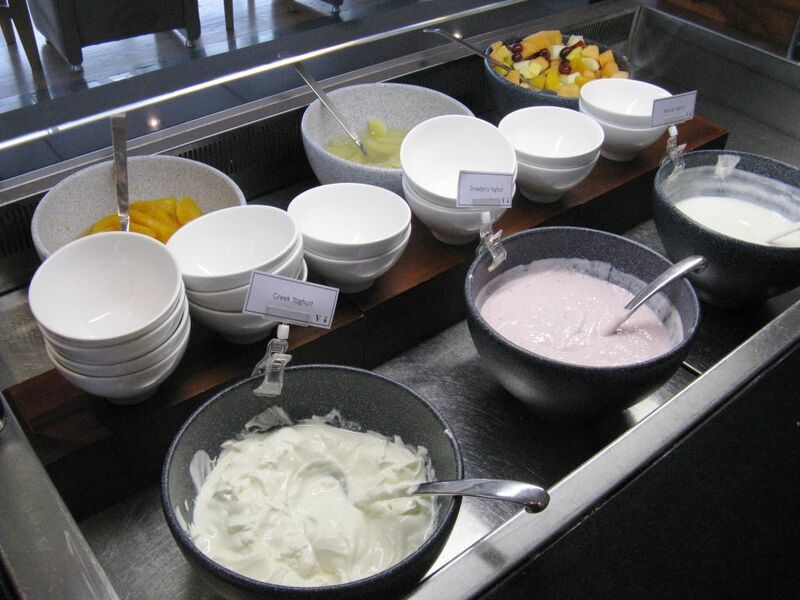 Yoghurt selection: strawberry, Greek, natural. Fruit salad, orange segments and grapefruit segments. Fruit juices: apple, orange and tomato concentrates, cranberry drink. Jams, preserve, honey and Marmite (from jars). Note that there are no bacon rolls in this lounge, nor was there before BaxterStorey. Flounge users do have bacon bagettes available all day. Further information on this period would be appreciated. Please help yourself to our selection of cakes, classic and fruit scones, served with Stokes 'Extra' jam and clotted cream, plus a selection of Island Bakery Organics biscuits. My perception, backed by discussions with staff and some other regular users of the lounge, is that the BaxterStorey changeover has had positive and negative changes. The sandwiches are much bulkier and tastier, and more decortatively served. The cakes are popular, as is the new quiche / flan and soup offerings. 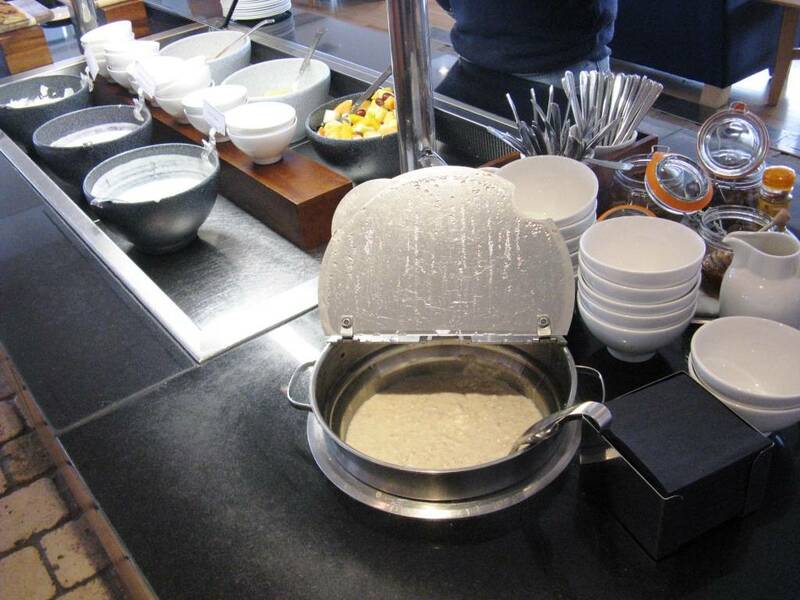 The taste of the porridge varies from day to day, it appears some staff are better at it than others, but at least it is homemade. The lack of takeaway portions has caused friction, however. For example one twice a year guest like to snaffle "a couple" of mini packs of Marmite to go on holiday with. It now comes out of a big jar. It seems trivial to me, but it certainly upset that traveller. 2 June - correction to juices. Looking forward (vaguely) to testing in 10 days' time. Usually arrive around 0900 and depart 1200, so may get to see and photo both meal options. I was always personally content with the breakfast offering, but then I'm an undemanding customer! The menu makes mention of fresh fruit juices - is this really the case? I was under the impression the Club lounges only stocked concentrated juice. And you would be correct! It's obviously concentrate from the photos. It does say "fresh" on the crib sheet I have but the best one could say is it is freshly served! I'll correct it above. I will be there at end of August so will report back. There isn't this morning. Unless my eyes are deceiving me! Just ask one of the staff and they will bring you a glass. The mention on one of the threads to a bottle being left on the side was very much an exception. Champagne in LGW Galleries Club (and in the LHR GC lounges) is usually on request rather than free pour. Breakfast offering now also includes sliced (pressed) ham and cheese (cheddar). Tried the tomato soup earlier... tastes very much like Heinz Cream of Tomato. Awful stuff. The pasties were especially good and the coffee drinkable. The food offered in flight was poor. I was travelling Economy on a short European flight. They offered a Strawberry and Banana Bircher muesli. It was vile. It has to be the worst food offering I have ever had on a flight. Even worse that the half a tinned pear with a squirt of Birds Eye Dream Topping that was passed as dessert on a Monarch flight to Sardinia in 1983! The food offered in flight was poor. I was travelling Economy on a short European flight. They offered a Strawberry and Banana Bircher muesli. It was vile. Oh, don't get me started. What is the obsession with sodding Bircher muesli? It is truly nasty. Now I like a good bircher Muesli. There was one in the Lounge and it was good. I make my own at home, it's fab. This was not Bircher muesli despite what the packaging may have said. It was pink gloop with bits of (one presumes) oat grains floating around in it. Just stumbled across this thread as I've never experienced the LGW BA lounges and will have an opportunity to do so next April. All I can say is, good grief! Exceptionally poor offering, especially compared with the VS CH - my kids will not be happy about the lack of hot food, not to mention being unable to have their nails done (yeah, very much first world problems). Likewise as an ex VS gold it took some getting used to. However in the LGWGold/first lounge there is hot food so you could sneak in and get yourself a nice bacon roll. All times are GMT -6. The time now is 8:38 pm.